Samba Dashami is a unique festival in Odisha. 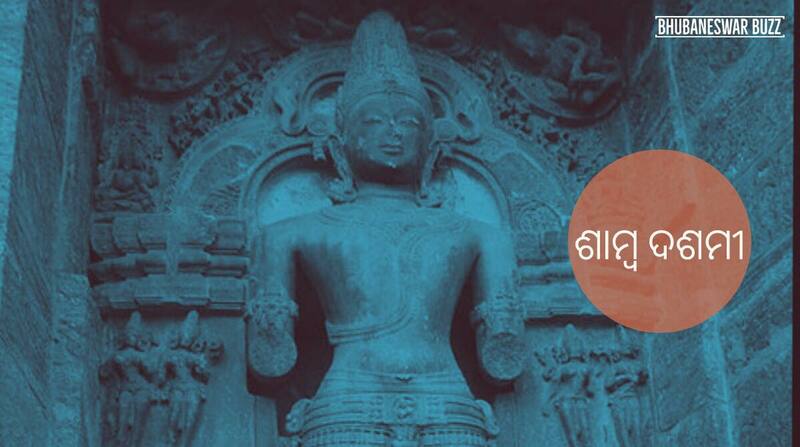 It is celebrated on the 10th day of the Sukla Paksha of Pausha Masa as per Odia calendar. This festival is especially celebrated in the eastern part of Odisha. According to legend, Samba, son of Shri Krishna, was afflicted by leprosy and after twelve years of severe penance near Konark, Samba succeeded in pleasing the Bhagavan Surya and was cured of his illness. He has decided to dedicate his gratitude to Bhagavan Surya by constructing a grand Surya Temple and worship in Konark. Then Bhagavan Surya granted his wish, when he discovered statue of Bhagavan Surya standing on a Lotus pedestal holding two lotuses in his both hands at Chandrabhaga at the time of bath. These Legends are embodied in Brahma Purana, Kapila Samhita, Madala Panji, Prachi Mahatmya, Bhavishya Purana and Samba Purana. The day Samba was cured from leprosy, observed as Samba Dashami. Particularly, on this day mothers perform a special ritual to please Surya Bhagawan to keep their children healthy. On the day of Samba Dashami, the women in the family wake before sunrise. After bathing they prepare dishes such as Khiri, Khechudi, Puri, and Ghanta Tarkari (a mixed curry), and offer them to the Bhagavan Surya at sunrise.One of the specific characters of this ritual is variety of individual food item is offered to Bhagavan Surya in the name of each member of the family, especially children. Once the food items have been offered to the Bhagavan Surya, the women prepare a set of dishes like: Manda Pitha, Kakara, Matha-Kakara, Chhena Poda, Poda Pitha, Arisha Pitha, Chakuli Pitha, Bara, Makar Chaula, Chhena, Guda, Muaan, Khiri, Rasagola, Jilapi, Chhenagaja, Sweet Curd etc. At noon, a bowl of turmeric water with betel in it is taken to near chaunra. All the cooked food is served on eggplant (brinjal) leaves. The women in the family view the Bhagavan Surya through the bowl of turmeric water and offer all the dishes to Him. They read the legend of ‘Samba Dasami Brata Katha’ and pray for the well-being of all family members. In the evening, another Puja is observed as a part of the Samba Dashami ritual. This is ‘Mahakala Puja’, in which special Budha Chakuli along with Ghad-ghadia Tarkari (an item prepared with fish, variety of Dal and other vegetables) is offered to Yama Raja again for the long life and wellbeing of all family members.